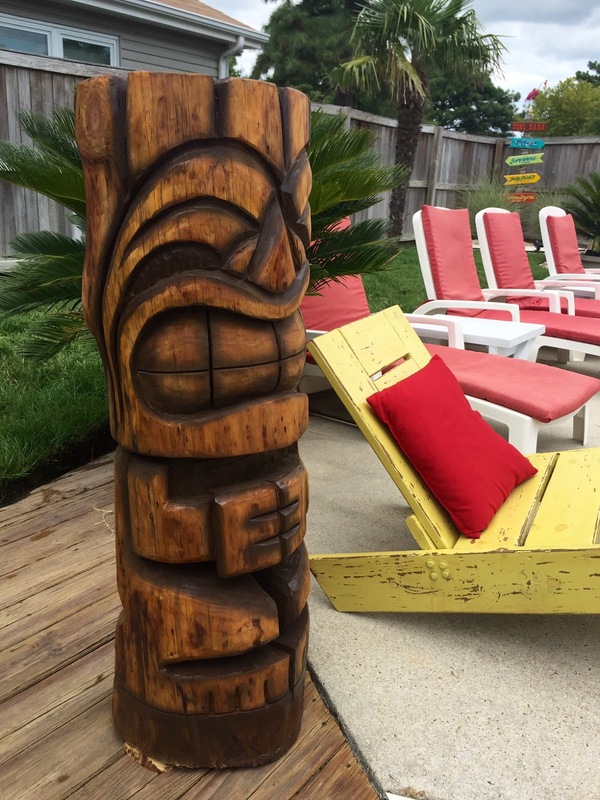 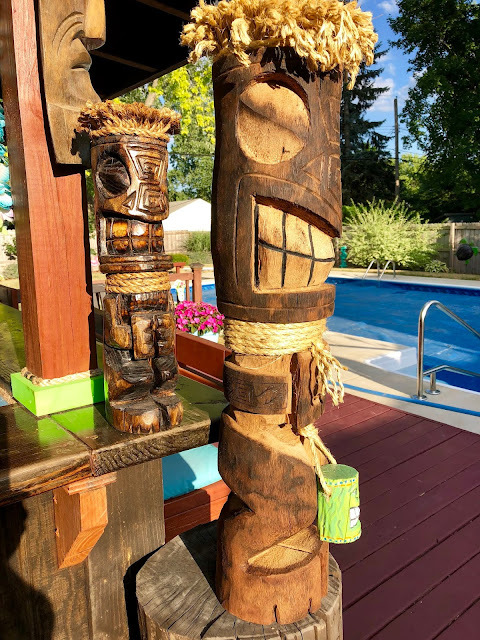 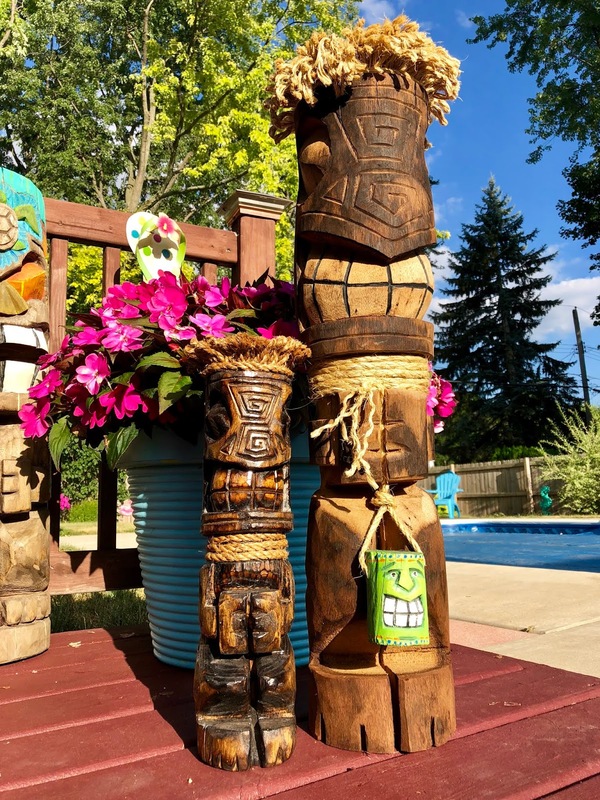 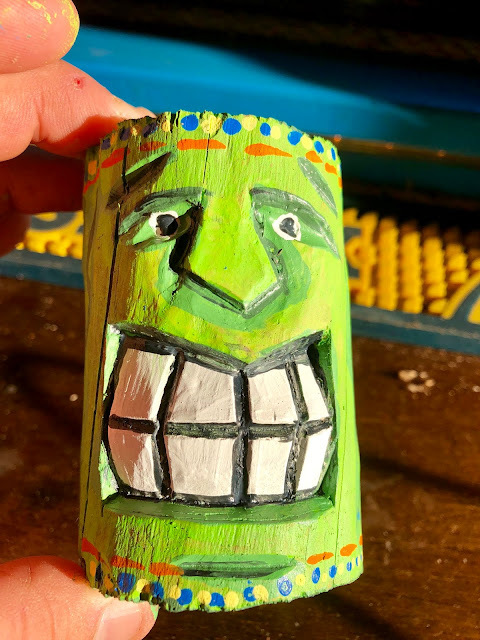 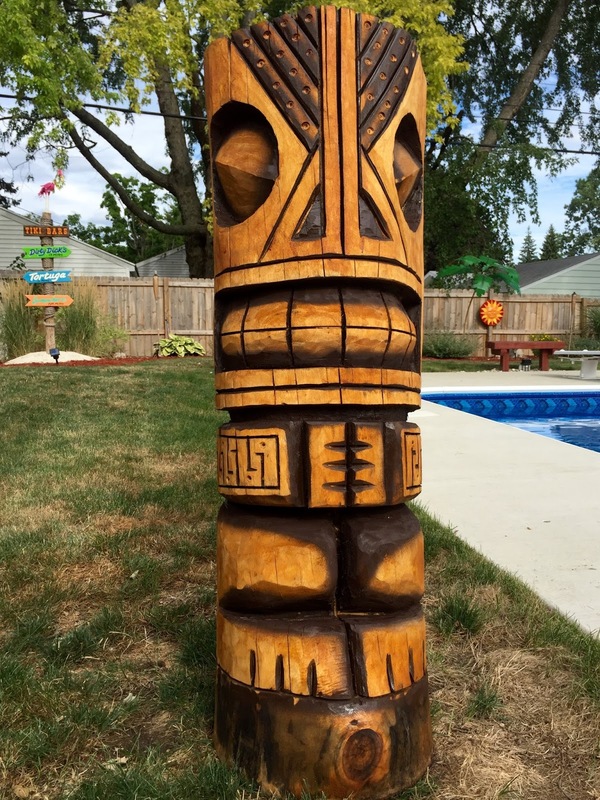 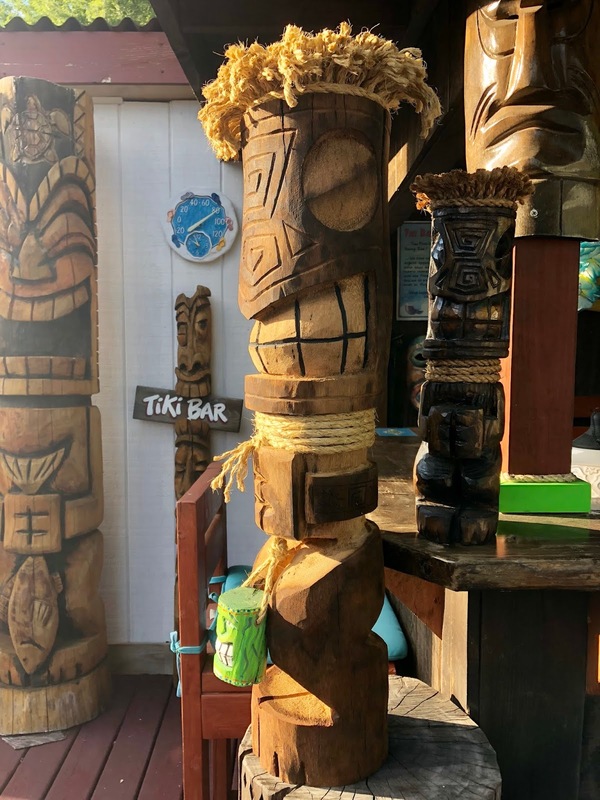 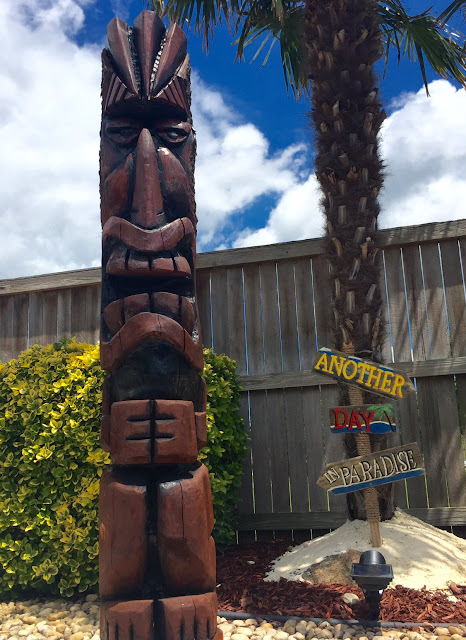 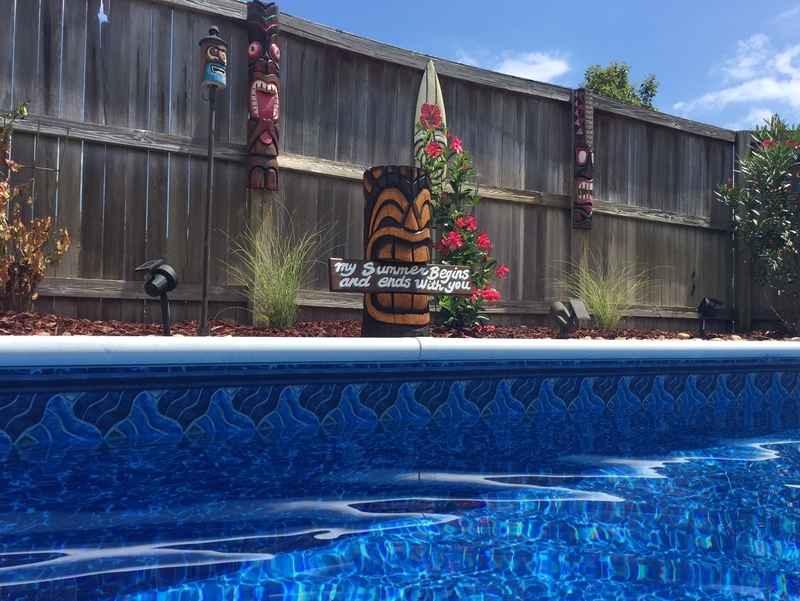 It's been awhile since I've been able to carve and upload a new tiki. 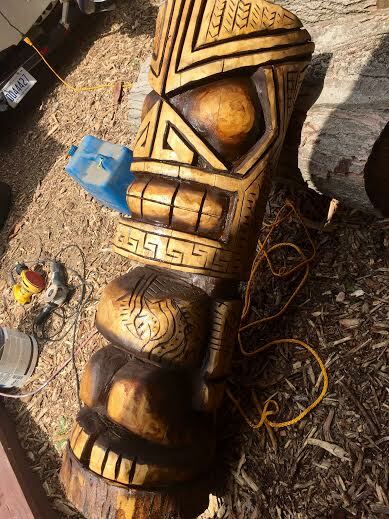 Finally got myself in gear and got back at it. 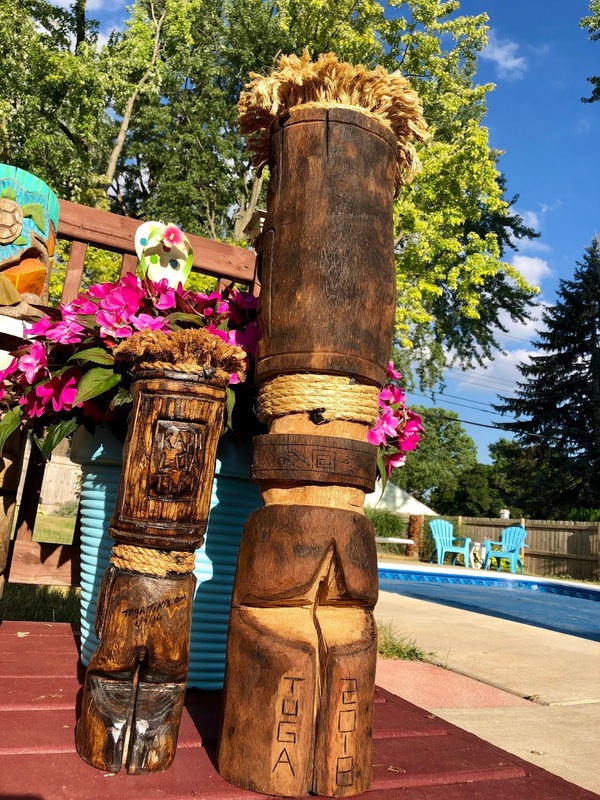 My newest creation is named Tuga and he stands approximately three feet tall. Tuga, holding his shrunken Shrek head is carved out of a palm tree that I got from my sister and brother in-law in Va Beach, Virginia. This is the first time I've carved using palm. 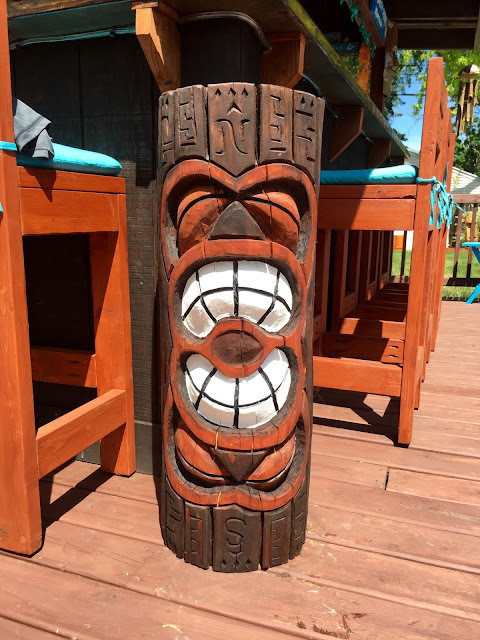 It was dirty (dusty), but easy to work with. 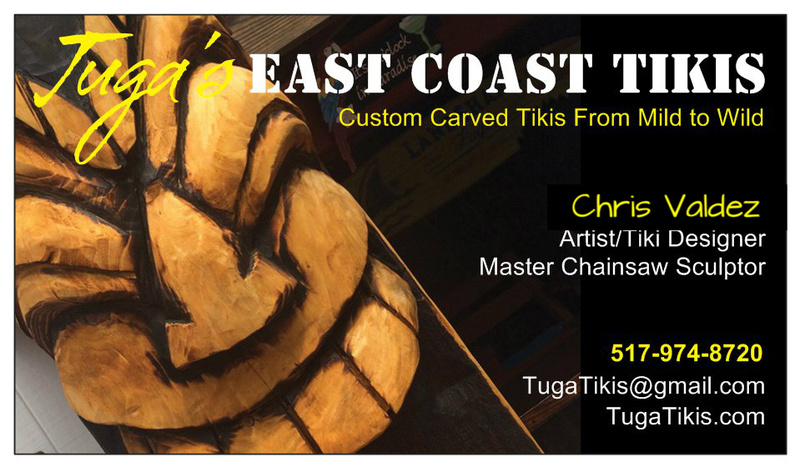 As you can see this is the second time I've carve Tuga. 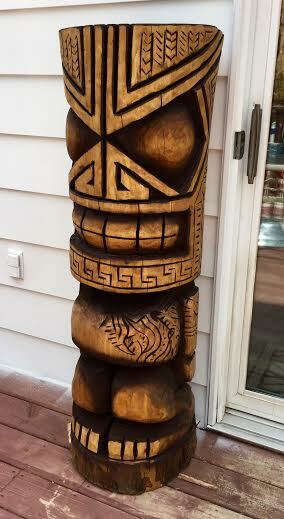 "Mini-Me" standing next to Tuga is about 1 1/2 feet tall and was carved a few years back. 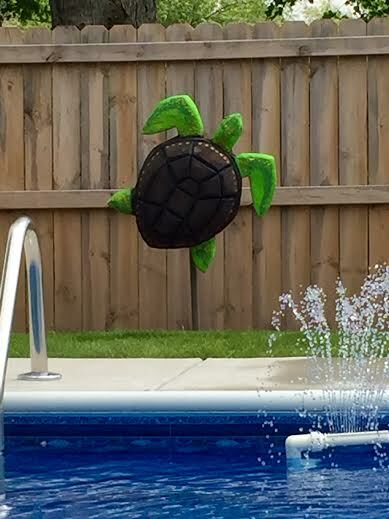 Tuga has now been delivered to his new owners back in Virginia Beach.